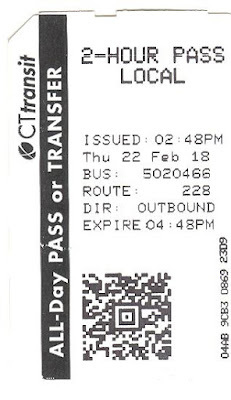 I made my first trip to New Haven a little over a year ago and made a return journey here in early 2018. This time I took the bus north to Hamden to check out Replay Records. 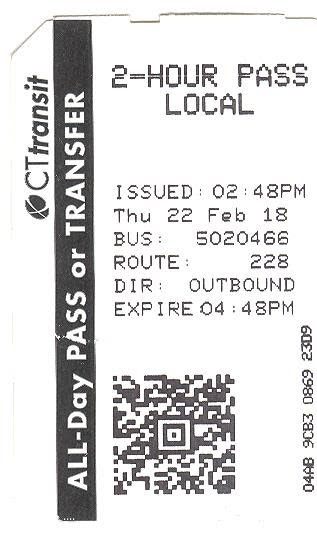 First I walked west on Elm from my hotel and got on the 228 bus north on Whitney. However Google Maps (my guide, as always) did not make the distinction between 228 and 228c, which veered off course about 75% of the way there. I pulled the plug on this mission and grabbed an Uber for the rest of the way and finally arrived a short time later. 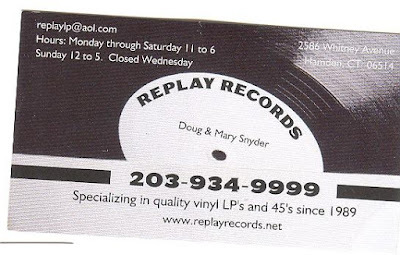 Replay Records is a pretty small spot and during my visit it was just me and a person behind the counter I presume was the owner. He was in the process of organizing and putting away some new wares and we had a pleasant chat. When I asked for Tom Jones vinyl, he said he didn't really have any ("it just doesn't sell"; fair enough) but he was educated enough to know of the alternate cover for It's Not Unusual. Color me impressed! I told him I was a general Parrot records snob, we talked about Engelbert and he admitted he was partial to Tom. I can respect that. I dug the entire jazz section and came across some interesting finds but many were overpriced or just too expensive for my wallet. I did quickly find another 3000 series I was glad to scoop for $5. I later had a look in the lower bins which held 'bargain' platters and came across a CTI boxset I've seen online but never in person. I paid only $4 for the 2xLP, but later was saddened to find that mine was missing a booklet (couldn't understand the purpose of the box instead of a simple gatefold). No matter, the vinyl looks pristine. I recently grabbed a CD reissue set and immediately fell in love with track B2 and I'm glad to now have the original issue. Speaking of CTI (sort of) boxsets, I did see another but the price was prohibitive. Afterwards I stood out in the rain, and later under an awning of a beauty salon waiting for my bus. I finally caught it and made it back to thaw/dry out in my hotel before I headed out again for even more pizza. Another productive day of circular treats! Back in Connecticut, got surprised by the chalkboard outside this place. I was excited for a minute, until I entered and found that their inventory consisted solely of fancy new reissues. I did take the time to go through them then I got the hell out of there. I've been to the Plainfield/Avon area a bunch of times now but somehow never bothered to check the area for record stores. Obviously I underestimated the area because I found Rock Bottom Treasures on a cursory glance at the map! I had my work planned for a Sunday which gave me a very leisurely drive on Saturday to do whatever I liked. It turned into one of the most fruitful digs in recent memory! The place bills itself as selling 'vintage goods' first and foremost; they do sell some other stuff but the record inventory is large and fairly well organized. I first saw a wild mess of 7" as I walked in and decided I didn't feel like navigating that craziness so I moved to the jazz section where I found an array of good stuff very quickly. 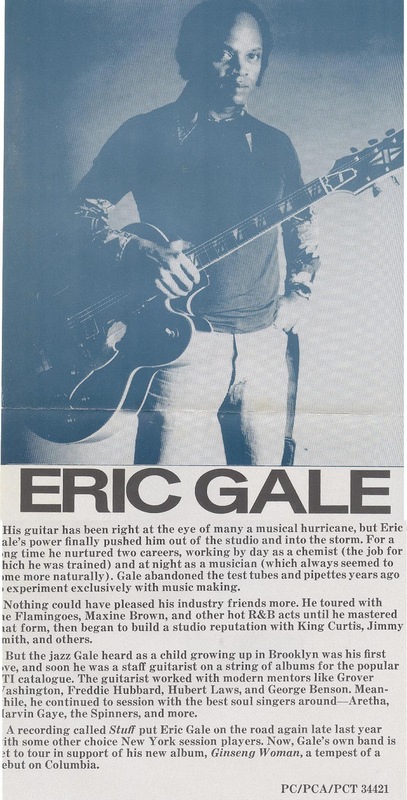 A long, long time ago I saw some Eric Gale records at a garage sale. I remember it so well. I decided against buying both. Later, I did score a different one. I have always enjoyed it, which has left me forlorn for years pondering what might have been with the others. No matter, I found the second one here and it is even a promo. What a steal! I also found a really nice Jimmy Smith 2xLP Blue Note comp that was too good to pass up. Lately I have been buying a select number of my favorite LPs on CD just to listen to in my truck. 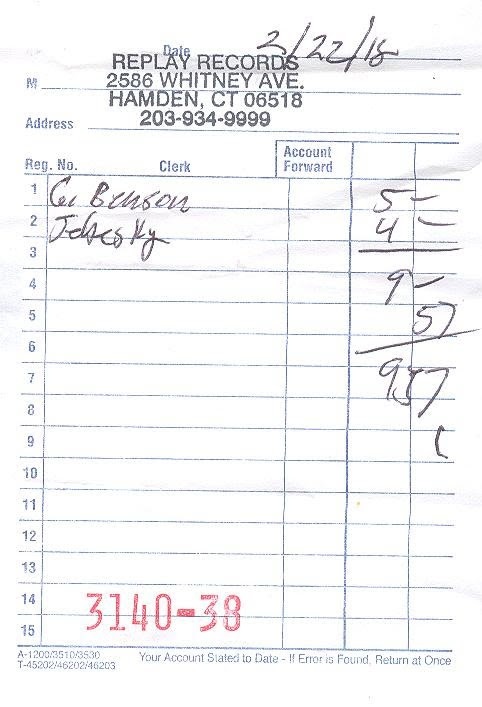 I had some Pat Metheny CDs on order at the time and one still had not arrived. Of course, this place had a ton of Pat Metheny CDs, and everything was only $3. I held off on the one I order, but I did grab another more recent release which I am really pleased with. It wasn't until later that I realized that my promo contained some goodys! First of all there was a glossy one sheet for other contemporary Columbia releases. Sort of cool, sort of...meh. But then I found this! Folded in half, it is just a plain Eric Gale promotional flyer! Scanned for your pleasure. Enjoy! The old Savers space back behind what was once known as Jewel 'Grand Bazaar' finally has a new tenant. I don't know how many (any?) vinyls I've pulled out of SAs in the past, but it is few, that's for sure. So I wasn't excited to check this out but as it is in my backyard, there was no way I could forego it completely. Nothing more to see here, folks. Though I must admit, I don't know if I've ever come across that TJ Brass comp before. Still, I did decide to do a 'catch and release' on that one. I'll stop in again sometime later this year with my fingers crossed.